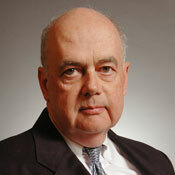 Joe Donovan is a partner with Sullivan & Worcester LLP. He was previously Deputy General Counsel of the Massachusetts Department of Revenue, where he was responsible for working with the General Counsel to manage the Department's Legal Division, and has held various positions in the state tax consulting practice of PricewaterhouseCoopers LLP, including leader of its Northeast Region state tax practice. He is the author of the Massachusetts Sales and Use Tax Manual and was appointed by Governor Deval Patrick to a special commission charged with studying Massachusetts corporate taxation. You buy a server, you pay tax once. You buy AWS capacity, you may pay over and over. Should taxes be the latest decision point in the in-house vs. cloud conversation?